This field report describes events occurring in Thaton District between January and December 2014. It includes information submitted by KHRG researchers on a range of human rights abuses and other issues of importance to local communities, including arbitrary demands, forced labour, road construction and extension, stone mining, militarisation, land confiscation and commercial agricultural projects, and community development such as education, sanitation, and healthcare. According to reports received in 2014, Tatmadaw military activities remained the same, or even decreased in some townships in Thaton District, compared to previous years. Despite this, there were still three reports regarding human rights abuses committed by the Tatmadaw in 2014. These included cutting down villagers’ trees and bamboo for the purpose of repairing their camp, as well as for secretly selling them for their own profit. On two occasions, villagers were forced by the Tatmadaw to do unpaid labour for them. In terms of education in Thaton District in 2014, international organisations, such as UNICEF and the Swiss Agency for Development and Cooperation (SDC), came into the area to support education, engaging in projects such as building schools for the local villagers and supplying stationary. In addition, the locally-built Karen schools joined forces with the Burma/Myanmar government schools in order for the students to be able to continue their education after they finish the Karen primary school in their village. To enable this, the Burma/Myanmar government sent their teachers to the area; however, their teachers often leave the village since they dislike staying in the rural areas. As a result, the quality of education available to students has been low. 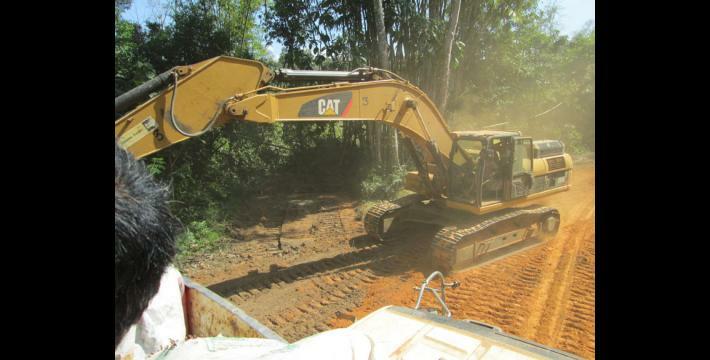 KHRG has received 12 reports covering for-profit development projects such as stone mining, road construction and extension, and rubber and teak plantations. These projects resulted in land confiscation and destruction, livelihood problems, and restrictions on freedom of movement. Other community development projects were conducted by non-governmental organisations (NGOs), who built water pumps, schools, and clinics. These projects brought some improvements in education and healthcare; however, there are ongoing challenges due to a lack of proper needs assessments with villagers and delays in project implementation. Compared to previous years, in 2014 KHRG has seen a decrease in the number of reports received concerning forced labour. Although reports of forced labour in Thaton District are received less frequently than before, KHRG received three cases of forced labour by the Tatmadaw and Border Guard Force (BGF), all in Bilin Township, Thaton District. Villagers from A--- village, Noh Ber Baw village tract, Bilin Township reported that the Tatmadaw demanded thatch shingles and wood from the villagers in order to repair their camp. The villagers had to spend their time collecting the materials and provide their labour without compensation to comply with the demand. Likewise, Border Guard Force (BGF) Battalion #1014 Company Commander Tin Win from Htee Soo Kaw village, forced villagers from B---, C---, D---, and E--- villages to do physically strenuous labour for him. On October 7th 2014, for one day, ten villagers had to cut wood and bamboo and repair baskets in the BGF army camp in D--- village. On another occasion, a KHRG researcher reported that in Bilin Township, in Tah Paw and Lay Kay camps, one person a day was forced by the Tatmadaw to work as a sentry. 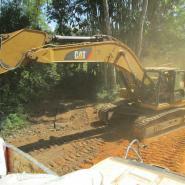 Road construction in Thaton District has become a major point of concern for villagers during this reporting period. In previous years, reports on development projects focused primarily on gold mining operations and land confiscation due to rubber plantations. Other construction and development projects involved clinics and schools, rather than roads. 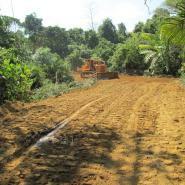 During the 2014 reporting period, villagers stated that the repair and extension of the road in Hta Paw village, Hta Paw village tract, Bilin Township, Thaton District, which is conducted by Yangon-based Zwe Nyi Naung Company, resulted in the confiscation of their land and greatly impacted their livelihoods. Villagers experienced the loss of their plantation lands, paddy fields, and house compounds as a result of the extension of the road into their village. Initially, the Zwe Nyi Naung Company told the villagers that they were only going to repair the road in the village, and did not consult them about expanding the road onto the villagers’ land. The villagers were very happy at first because the road would improve their transportation; they did not know that their land would be confiscated in the process. The road repair, expansion, and the confiscation of villager land began on January 2nd 2014. 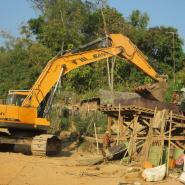 Some villagers’ lands were confiscated on January 4th 2014 as the project continued. There were 14 acres of land confiscated from five out of the seven villagers who reported the abuse. One of the other villagers lost 17 rubber trees and the other lost the front yard of his house and four coconut trees. The villagers indicated that they are happy that the road was repaired, but they also have their livelihoods to consider. Therefore, at the very least, they want the Zwe Nyi Naung Company to compensate them for what they have lost. Villagers also reported that the Htoo Company, led by U Ye Htun, came to a place between Aee Soo Hkee village, Aee Soo Hkee village tract and Paw Hkee village, Tah Aoo Hkee village tract in Bilin Township, Thaton District to conduct logging. They started logging after they received permission from the Karen National Union (KNU), who then charged the company 90,000 kyat (US $92.17) for one ton of wood. In order to transport the wood easily, the company constructed a road, which resulted in damage to villagers’ lands in G--- village. When the villagers reported the damages to the KNU, the KNU arranged for the company to pay them a fair compensation equal to the value of the land destroyed. Additionally, a highway was constructed after an agreement was made between the Burma/Myanmar government and the KNU Thaton District leader. The highway was constructed in H--- village in the summer of 2014, led by construction supervisor U Kin Mi Kauk. Villagers who lived nearby the construction of the road have had their land confiscated and their crops and plants destroyed. They have not been compensated for their losses and continue to suffer livelihood issues due to the road construction. They reported the situation to the appropriate people at the township level; however, at the time of reporting their case had not been resolved yet. 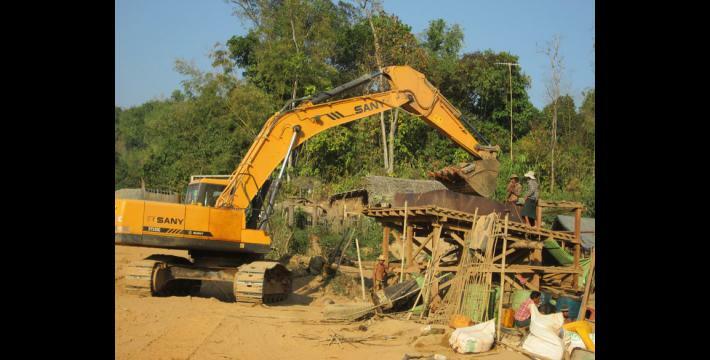 Many wealthy individuals and private companies tried to gain access to Thaton Township for private development projects, especially for mining and rubber plantation projects, but those requests were denied by the local villagers. On April 3rd 2014, Pru Min Tun Company approached Thaton Township’s administrator U P--- in I--- village, Maw Lay village tract, Thaton Township, and asked for permission to start a stone mining project on I--- cliff. They came to the village to get the villagers’ approval. The majority of the villagers voted in favour of the project so they began stone mining. However, before the company came to seek the civilians’ authorisation, they forced the village tract administrator to organise villagers who would vote for them in order to ensure the approval of the project. If they won the vote, the company promised to provide water pipes and electricity to each village tract, and 100,000 kyat (US $97.30) to each house. When they held the vote, the people who voted in favour of the company were people who had no land and also lived very far from I--- cliff, which meant that even if the project was carried out, they would not be affected. The villagers who live very close to the cliff tried as hard as they could to stop the stone mining project and gathered together to protect the cliff. As a result, in April 2014, the stone mining project was stopped, but the villagers are not sure if the project will resume in the future. 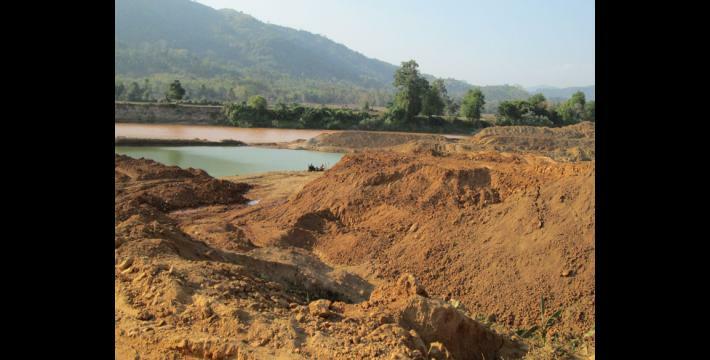 In addition to the attempted stone mining project, there was also a gold mining operation which was active in Thaton District in 2014. 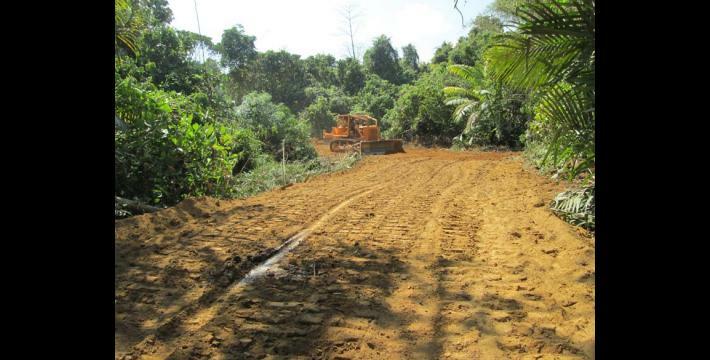 This project caused livelihood problems for villagers in eastern Boh Loh river, near See Koh village, Meh Pree Hkee village tract in Bilin Township. The livelihood problems were a result of the loss of land incurred by some of the villagers, as well as the water pollution caused by the gold mining. 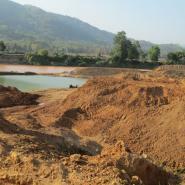 Natural resource extraction in Thaton District was not only conducted by private companies. In early 2014, there was also an exploratory copper mining operation in Meh See mountain, which was run by KNU-owned Mi Cho Taung Company. The company is based in Hpa-an Township. It was founded in 2014 and is led by Officer Saw P’Lay and his secretary P’Doh Ko Lay. A KNLA leader, who wished to remain anonymous, mentioned to KHRG that that the exploratory mining was still in progress in early 2014, even though there was no indication that there is copper in Meh See mountain. According to a KHRG researcher, the purpose of establishing that company was to increase trade and generate income for Thaton District. Based on reports received by KHRG in 2014, there has been a decrease in the number of incidents of forced recruitment by armed actors in Thaton District compared to 2012 and 2013. In 2013, KHRG observed a decrease in forced recruitment incidents following the signing of the 2012 preliminary ceasefire. In 2014, an additional decrease in the number of reported forced recruitment incidents was observed. In terms of the perpetrators of forced recruitment, whereas prior to the ceasefire the primary perpetrators in Thaton District were the Democratic Karen Benevolent Army (DKBA), in 2014 the sole reported perpetrator of forced recruitment was the Tha Ka Hsa Hpa, a group which had splintered off of the DKBA. In Hpa-an Township, Thaton District, the militia, Tha Ka Hsa Hpa, is based in L--- village and is led by Camp Commander Moe Nyo. Moe Nyo established basic military training on June 4th 2014, beside L--- village, in Wo Kyain village tract, Hpa-an Township. He trained 70 soldiers a month and the villagers reported that they do not know the reason behind the recruitment of the soldiers. He recruits soldiers from villages as his militia has done in the past: If a village comprises fewer than 50 households, Moe Nyo demands that five people enlist; if there are more than 50 households in a village, six to ten people are required to enlist in his militia. Villagers do not want to be in the Tha Ka Hsa Hpa military, but they are subjected to a fine of 50,000 kyat (US $48.50) per month if they cannot follow these orders and do not serve. Moe Nyo recruited soldiers in Wo Kyain, Boo Pyer, Aee Heh and Kyoh Moh Thweh village tracts. In terms of military activity, there were different levels of activity reported from the different townships in Thaton District in 2014. Overall, villagers perceived military activity to have either remained the same or decreased from previous years. 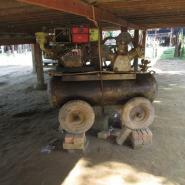 In Thaton Township, which the Hpa-an Highway runs through, there are many Tatmadaw army camps. In central Thaton Township, there are two reported army camps. The army camps are called K--- army camp and M--- army camp. Since the preliminary ceasefire the two army camps have not changed anything, including their activities. The villagers reported that the soldiers are still operating like they have before, but there is no fighting. Regarding the Tatmadaw battalion that is based in J--- village, Bilin Township, the villagers said that they saw the soldiers repair their army camp. When they repaired the camp, the villagers reported that they saw them cutting down villagers’ trees, including bamboo and thatch trees, which villagers use to roof their houses. The villagers could not do anything because it was too late when they noticed them cutting down the trees and bamboo. The villagers further stated that the Tatmadaw soldiers did not only use the trees and bamboo to repair their camp but they also secretly split it into pieces and sold it to people from the town for their own profit. The villagers and the village head have complained to the Tatmadaw, but they have just cut down the bamboo and trees in other places. 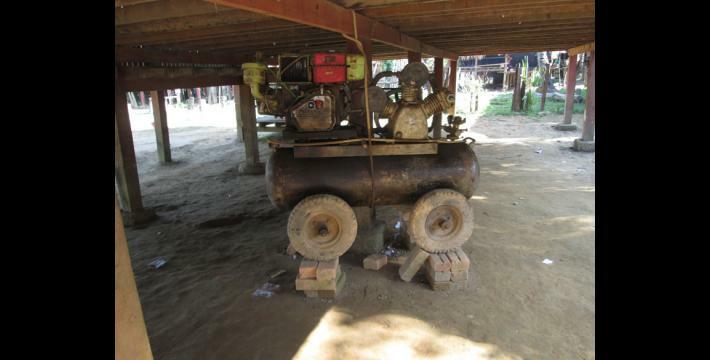 The villagers in Hpa-an Township reported that the military activity of government soldiers decreased in 2014. There was military activity primarily at times when the top leaders of the Tatmadaw visited the villages. When the leaders came into the villages, the soldiers surveyed the area around the road to ensure it was secure from opposing armed groups and the presence of villagers. The villagers reported that they did not see the Tatmadaw committing human rights abuses in the area. The situation with the BGF is similar; they also continue to operate as usual; however, they are arbitrarily collecting tax from villagers who trade cattle. According to the local villagers, many companies have come to assess areas in Thaton Township for development projects, but they have not been given permission for such projects by the villagers, so most of the companies have had to leave. The Max Myanmar Company is the only group that is based in the area. The Max Myanmar Company came to plant rubber plantations in N--- village, Shwe Yaung Pya village tract, Thaton Township, Thaton District. The project was initiated many years ago. It has created a lot of problems for villagers because some villagers have cows and buffalos, and the animals now have less pasture land for grazing. The villagers also have to travel large distances to collect firewood and they mentioned that their lands were confiscated due to the company’s rubber plantation project. In Bilin Township, Thaton District, from June 2014 until November 2014, it was reported that wealthy individuals from urban areas and wealthy villagers are planting teak in almost every village. Due to this, some villagers do not have land to earn their livelihoods on and hill farmers face issues when working on the hill fields and when grazing their buffalos and cows. In past years, wealthy individuals had planted rubber plantations; now they have started planting teak. For the villagers who earn their livelihoods through daily labour, this causes major problems, as teak plantations require far less maintenance than rubber plantations and these villagers are finding it harder to secure work. In terms of education in Thaton District in 2014, many international organisations came into the area to support education, engaging in projects such as building schools for the local villagers and supplying stationary. Generally, the villagers from Thaton District reported that the education situation has improved. There are some government schools and there are also schools that villagers built independently. The Karen schools joined forces with the Burmese schools in order for the students to be able to continue their education after they finish the Karen primary school. The government sent their teachers to the area but their teachers do not want to come into the rural area. Even on occasions when they agreed to go teach there, they arrived very late and would often go back to their hometowns. When they go back to their towns, they spend one or two months there, which takes a toll on the students’ education. Regarding healthcare in Thaton District, Mi Zhaing Taung Company is planning to build hospitals and primary schools in several mountain villages. They came to those villages to ask for permission from the local villagers. The village tract leaders and local authorities held a meeting on May 15th 2014 in which they decided that they should not give permission to the company. Following this decision, a KNU district leader tasked the township leaders with finding out specific information about the project and whether the support for the projects was coming from non-governmental organisations (NGOs), the Burma/Myanmar government, or private companies. Villagers also reported that they need more healthcare professionals in the area. The Burma/Myanmar government built clinics in many places, but there are no nurses or medics, and there is no one to look after the buildings. As a result, some of the buildings were eventually destroyed or utilised for other purposes, such as goat pens. The KNU cannot build a clinic yet because there are not enough nurses or medics. The Back Pack Health Worker Team (BPHWT) is the only group that visits each village tract. If the villagers are mildly ill, they are treated by nurses in the village, but if they become gravely ill they have to go into Thaton or Bilin towns. The local residents, therefore, expressed the need for more healthcare services in their township. In 2014 the international organisations which have been active in the district were United Nations Children's Fund (UNICEF), United Nations High Commissioner for Refugees (UNHCR), Bridge Asia Japan (BAJ) in Thaton Township, and Swiss Agency for Development and Cooperation (SDC) in Bilin Township. UNICEF entered the region to provide notebooks, pencils, and pens for primary school students as part of their education promotion campaign. In addition, BAJ and the UNHCR were permitted by the Burma/Myanmar government’s Myanmar Peace Centre (MPC) to come into the area and begin a water project in O--- village, Kyoh Weh village tract in Bilin Township, Thaton District. The implementation schedule of the project was finalised on May 10th 2014; the materials arrived on May 11th 2014 and they started working on it that day. The villagers reported that the water project is not their main need; what they really need is a school so their children can be educated. 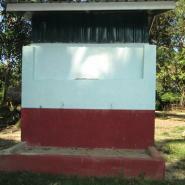 The local residents stated that there has been no benefit to the villagers since the water project commenced. The implementing organisations said to the villagers that they will continue working on the water project this summer when there is road access to the village. In the meantime, as the well construction has not been completed and the water pipes had not arrived, there is no water supply to the village. There has been no explanation given to the villagers regarding how much money has been spent on the project or how the money was used. In 2014, the SDC came into Bilin Township and assessed 12 villages for potential community development projects. 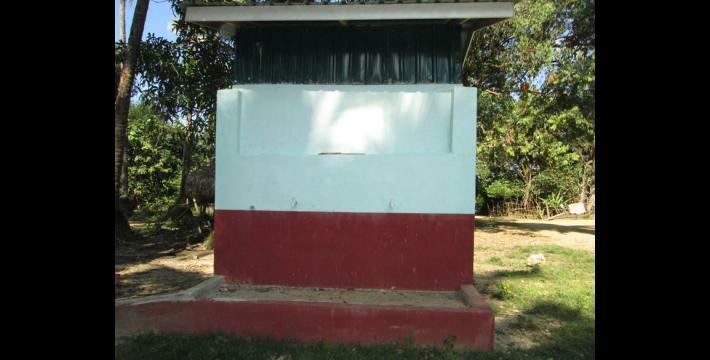 They planned to construct a school, a road, and a water supply system in all 12 villages. The field director of the SDC, Zaw Min Naw, met with the local villagers and developed a committee of village representatives. This committee will be responsible for working closely and transparently with the project coordinators and will be included in discussions regarding any needs the project requires and regarding the improvement of transportation infrastructure. This Field Report comprises 14 raw data reports that were received by KHRG in 2014 from community members in Thaton District. An analysis of these reports reveals that abuses such as land confiscation and destruction by development projects, such as rubber or teak plantations, gold mining, and road construction, are an ongoing concern for villagers. There have also been evident improvements in education and healthcare in 2014, particularly in areas with NGO activity. Since the preliminary ceasefire, NGOs have been able to access and operate more freely in rural areas. However, despite the improvements brought on through their activities, villager testimonies discussed in this report demonstrate that NGOs should conduct proper needs assessments with the villagers they are attempting to help, as many of the projects taking place are not in fact addressing villagers’ most pressing concerns. For a review of forced labour incidents in Thaton District in 2012 and 2013, see “Field Report: Thaton District, September 2012 to December 2013,” KHRG, December 2014; as well as, “Thaton Situation Update: Hpa-an and Bilin townships, July to September 2013,” KHRG, November 2014; and “BGF Battalion #1014 forced labour and forced recruitment, April to May 2012,” KHRG, May 2013. This information was included in an unpublished situation update from Thaton District received by KHRG in July 2014. KHRG continues to receive reports involving human rights violations involving BGF Battalion #1014, For a summary of abuses, see: “Human rights violations by Border Guard Force (BGF) Battalion #1014 in Bu Tho Township, Hpapun District, May 2012 to March 2014,” KHRG, July 2015. Company Commander Tin Win has been previously implicated in several human rights abuses. For more information see “Thaton District: Continued Consolidation of SPDC and DKBA Control through the use of Forced Labour, Extortion and Movement Restrictions,” KHRG, February 2005, “Starving them out: Food shortages and exploitative abuse in Papun District,” KHRG, October, 2009, as well as “Thaton Situation Update: Bilin, Thaton, Kyaikto and Hpa-an townships, September to November 2014,” KHRG, February 2015. Additional reports can be found on the KHRG website. This information was included in previously published KHRG report “Thaton Situation Update: Bilin, Thaton, Kyaikto and Hpa-an townships, September to November 2014,” KHRG, February 2015. The previous Thaton Field Report primarily mentions gold mining operations as a source of concern and does not mention any road construction. For the full report see, “Field Report: Thaton District, September 2012 to December 2013,” KHRG, December 2014. In terms of other types of construction, the situation update from 2013 focuses on clinic and school construction, see, “Thaton Situation Update: Hpa-an, Thaton and Bilin townships, January to July 2013,” KHRG, December 2013. For an analysis of land confiscation in southeast Burma/Myanmar between 2012 and 2014 see, ’With only our voices, what can we do?’: Land confiscation and local response in southeast Myanmar, KHRG, June 2015. This information was included in previously published KHRG report “Land confiscation due to a road repair and expansion project in Bilin Township, Thaton District, January 2014,” KHRG, September 2014. U Ye Htun has been implicated in both land confiscation and logging-related abuses against villagers in various districts, for more information see, “‘With only our voices, what can we do?’: Land confiscation and local response in southeast Myanmar,” KHRG, June 2015. All conversion estimates for the Kyat in this report are based on the May 29th 2015 official market rate of 1,095 kyat to the US $1. This information was included in an unpublished photo report from Thaton District received by KHRG in November 2014. This information was included in previously published KHRG report “Thaton Situation Update: Thaton Township, April 2014,” KHRG, January 2015. This information was included in an unpublished situation update from Thaton District received by KHRG in November 2014. This information was included in previously published KHRG report “Thaton Situation Update: Bilin and Hpa-an townships, June to November 2014,” KHRG, February 2015. On January 12th 2012, a preliminary ceasefire agreement was signed between the KNU and Burma/Myanmar government in Hpa-an. However, on October 15th 2015, after a negotiation process marred with controversy over the notable non-inclusion of several ethnic armed groups and on-going conflicts in ethnic regions, a Nationwide Ceasefire Agreement (NCA) was signed between the Burma/Myanmar government and eight of the fifteen ethnic armed groups originally invited to the negotiation table, including the KNU, see “Myanmar signs ceasefire with eight armed groups,” Reuters, October 15th 2015. Despite the signing of the NCA prompting a positive response from the international community, see “Myanmar: UN chief welcomes ‘milestone’ signing of ceasefire agreement,” UN News Centre, October 15th 2015, KNU Chairman General Saw Mutu Say Poe’s decision to sign has been met with strong opposition from other members of the Karen armed resistance and civil society groups alike, who believe the decision to be undemocratic and the NCA itself to be a superficial agreement that risks undermining a genuine peace process, see “Without Real Political Roadmap, Nationwide Ceasefire Agreement Leads Nowhere...,” Karen News, September 1st 2015. For KHRG's analysis of changes in human rights conditions since the preliminary ceasefire, see Truce or Transition? Trends in human rights abuse and local response since the 2012 ceasefire, KHRG, May 2014. For reports discussing forced recruitment in Thaton District in 2012 and 2013 please see, “Field Report: Thaton District, September 2012 to December 2013,” KHRG, December 2014; “Ongoing forced recruitment into the People’s Militia in Kyeikto Township, Thaton District,” KHRG January 2014; and “Incident Report: Forced recruitment in Thaton District #1, May 2012,” KHRG, May 2013. This information was included in a previously published KHRG report, “Exploitative abuse and villager responses in Thaton District,” KHRG, November 2009. This information was included in previously published KHRG report “Thaton Situation Update; Bilin and Hpa-an townships, June to November 2014,” KHRG, February 2015. This information was included in previously published KHRG report “Thaton Situation Update: Bilin Township, August to October 2014,” KHRG, April 2015. For the full Situation Update discussing this abuse see, “Thaton Situation Update: Bilin, Thaton, Kyaikto and Hpa-an townships, September to November 2014,” KHRG, February 2015. This information was included in previously published KHRG report “Thaton Situation Update: Hpa-an Township, January to June 2014,” KHRG, October 2014. Max Myanmar Group of Companies is a private conglomerate owned by Burmese tycoon Zaw Zaw, and is known for its close ties to the Tatmadaw. KHRG has received numerous reports of land confiscation perpetrated by Max Myanmar, see “‘With only our voices, what can we do?’: Land confiscation and local response in southeast Myanmar,” KHRG, July 2015, as well as “Losing Ground: Land conflicts and collective action in eastern Myanmar,” KHRG, March 2013. Back Pack Health Worker Team (BPHWT) is a non-profit organised to equip people with the skills and abilities to manage and address their own healthcare problems whilst simultaneously working for the long-term sustainable development of a primary healthcare infrastructure in Burma. This information was included in a previously published incident report, “Thaton Incident Report: UNHCR begins development project in Bilin Township, May 2014,” KHRG, June 2015. In this report, the location of the water project has been incorrectly reported as occurring in two different villages, rather than the single village mentioned in this Field Report. This information was included in a previously published KHRG report, see “Thaton Short Update: Bilin Township, October 2014,” KHRG, February 2015.